Why Choose To Have A Face And Neck Lift? As the face ages the skin and underlying muscles become lax with loss of skin tone and elasticity. This combined with the effects of the sun result in drooping of the facial tissues. There is also loss of fat volume and descent of fat in the face. 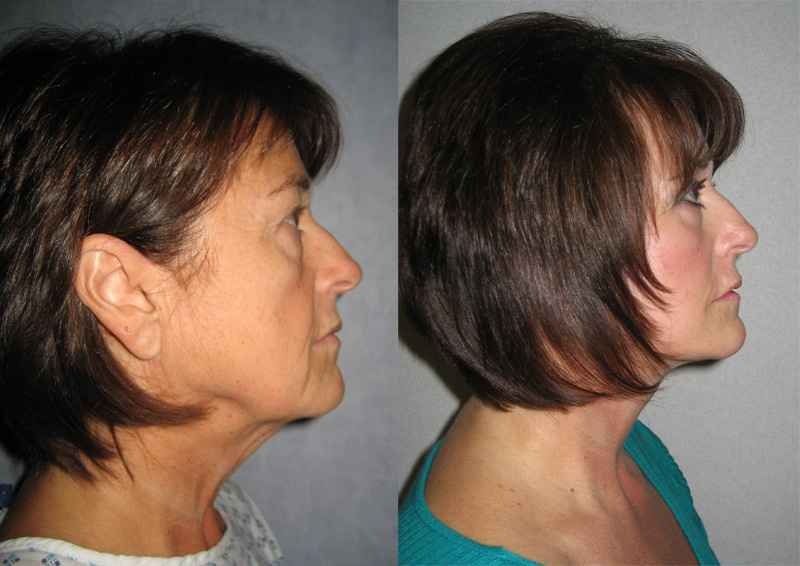 A facelift can partly reverse these changes, particularly the neck and jaw line. 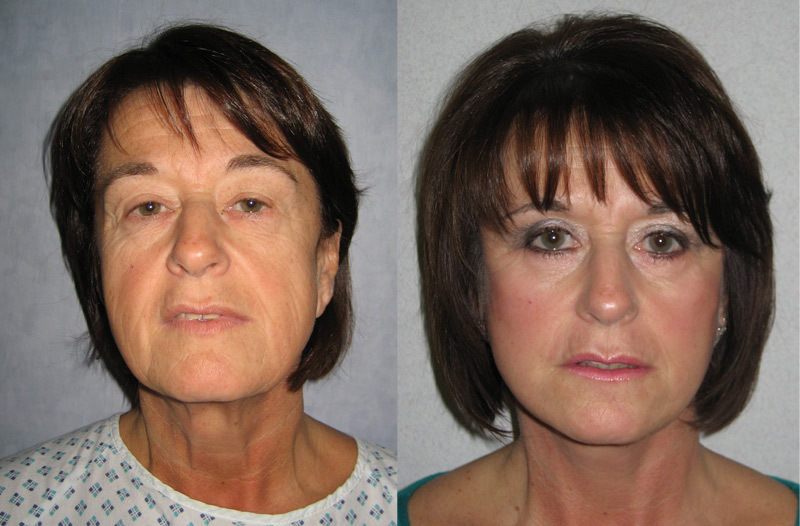 This procedure can sometimes be done with the removal of neck fat, a blepharoplasty (eye-lid tuck), fat injections to help fill out the middle of the face and a forehead lift. This entails lifting the skin and fat layer away from the underlying muscles. This is done in the cheek, jaw-line and down into the neck. An incision from above the ear in the hair then runs in front of and finally behind the ear. Sometimes the incision is placed along the sideburn hairline instead of up into the hair itself. These options will be discussed with Stephen McCulley during the consultation. The underlying muscle layer (SMAS layer) is then tightened. This is an important stage in the operation as this layer takes up much of the ‘lift’. The excess skin from the face and neck is then removed and carefully stitched in its new elevated and tightened position. This involves a smaller incision that is in front of and not behind the ear. 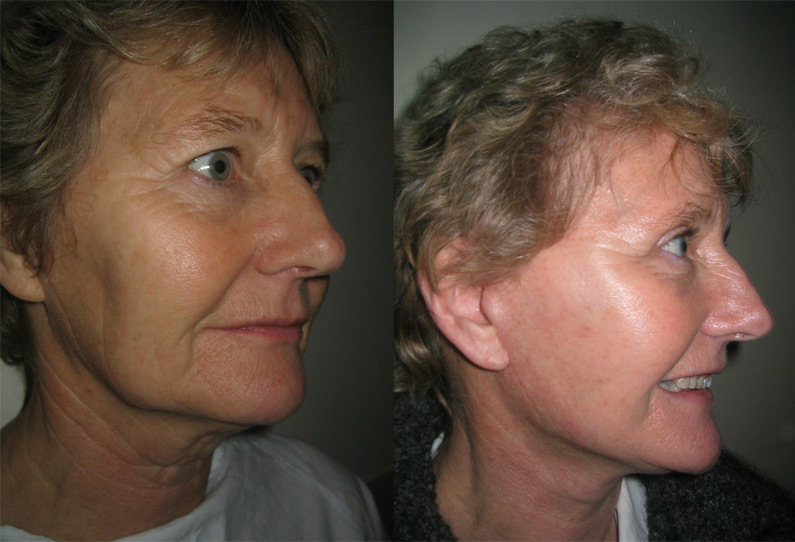 Although working on similar principles as the full-facelift, the extent of skin elevation is less and it treats predominantly the jaw-line and less so the neck. Scars on the face tend to heal very well. Although a little pink initially in the first few months they then fade to white. Most patients form very good quality scars over time. The length of time will vary in each individual patient and some patients may form raised or stretched scars. If you are a smoker, try and stop for eight weeks before and one week after surgery as it can reduce the chances of complications. 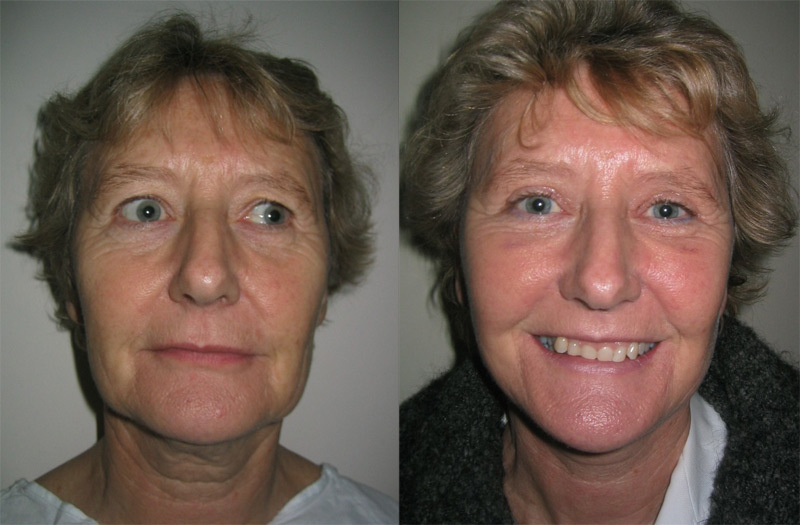 Facelift is very prone to smoking related problems. The operation takes 2.30 - 3.30 hours depending on the type of technique used. You will wake up with dressings on the wounds and wearing a head bandage. The bandaging is usually removed before your discharge and exchanged for a compression garment. Any stitches will be removed at your appointment on day 7. The use of a small surgical drain under the face skin is common to remove any unwanted blood/fluid. This is usually removed the day after surgery. People vary in recovery, but patients should allow at least 2 weeks of recovery. Most patients are very comfortable at one week and although feel able to return to work, we would recommend waiting. You will be a little swollen and bruised in the first week, but this tends to be less severe than patients usually expect. Most of the bruising and swelling would have settled by the end of the second week. Patients usually feel able to walk a distance at 5-7 days, swim by 10-14 days (if fully healed). Strenuous exercise (aerobics etc) should be avoided for 4 weeks. Day 1-4 You should be taking it very easy! Day 5-14 You will be feeling much better from here onwards. The swelling will be settling and much of the bruising will subside. You can start exercising gently and build it up over the next 10 days. We will check your wound and change the dressing at day 5. You will then have an appointment with Stephen McCulley at 3 months. You will not be charged for any follow up appointment relating to your surgery. Skin loss: This is extremely uncommon and occurs if the blood supply to the skin is insufficient. The risks are if the skin is pulled too tight (therefore always avoided) and in patients that are heavy smokers. Altered skin sensation: This is common initially after surgery, but for the vest majority all sensation returns. Altered ear sensation: This is very uncommon, but can occur if a nerve to the ear is damaged. Small areas of asymmetry: Small areas of asymmetry: The same operation will be performed on both sides. There is a small risk of minor irregularities in the skin surface on either side. Similarly the lobe of the ear can subtly change position. Wound breakdown: Although uncommon this can result in a delay of the wound healing and poorer scar quality. Bleeding: A blood clot can collect under the skin flaps, which would result in going back to theatre for its removal. However, if a blood clot is to form it will be within the first 24 hours post surgery. This occurs in approximately 1% of patients. Nerve injury: Injury to the facial nerve is very uncommon but can result in palsy of the facial muscles. The most common areas affected are to the eyebrow and corner of the mouth. If this does happen it will correct itself for the vast majority of patients over 2-3 months. However, there have been some cases of permanent injury, and this should be considered before proceeding with surgery. What does Face and Neck Lifts cost?